In the past, the supervisor was frequently second in command to the business owner. While the owner might still do the lion’s share of the paperwork associated with running the business, the supervisor would have hands-on duties in the workplace to ensure a smooth operation. As industrialization marched forward and technology grew by leaps and bounds, the branching out of businesses frequently took a company outside of the immediate family structure. Add to this the increase in travel and ease of communication; the owner would now frequently travel and the duty to perform paperwork would fall on the shoulders of the supervisor. Before long, even this arrangement was insufficient and it only makes sense that a new business tier would be needed to connect branches to the business owner: managers. A supervisor now answered to a manager, who in turn kept track of various supervisors. The latter were put in charge of workers. Fast forward to today; corporations are global, the market is volatile and cost-cutting is condensing managerial and supervisory tasks. As a result, the job description of a supervisor is in almost constant flux. Four roles are now crucial tasks — even as they are frequently not formally addressed. Coaching is a vital aspect of a supervisory position. A training department usually only focuses on newly hired workers, who receive quite literally a crash course in day-to-day job operations. Fine-tuning of the training is left to the supervisor. The professional must gauge, identify and document skill gaps, missed learning opportunities and areas of needed re-training. Delivering this custom-tailored training is also up to the supervisor; usually this process is referred to as coaching. The management team has decided to implement a new performance metric for hourly employees. It is the duty of the supervisor to ensure that the workers understand the change and know how it affects them individually. If the marketing department rolls out a new ad campaign, the supervisor must ensure the staff knows about the campaign and understands what customers expect; the professional cannot shy away from proactively approaching department heads about potential problems the promotion may cause. This role is not one of passivity but one of proactive communication with management teams and networking with other supervisors. Carter McNamara, MBA, PhD explains the supervisor is in a peer group relationship with employees. Even though the pay, authority and responsibility differ, the employee perceives the connection with the person to whom she or he reports as being closer than to the management team. Because of this role, the employee entrusts a superior with sensitive personal information that the supervisor — in the role of advocate — uses but also protects. Employee health and productivity go hand in hand, but did you know that the supervisor can also be a great resource for the implementation of workplace ergonomics? 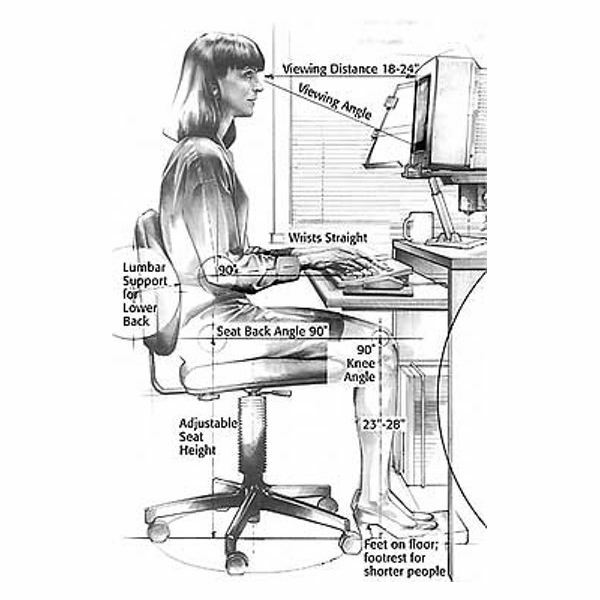 UC San Diego highlights the professional in this position not only helps a worker discover how to make ergonomics work for her or his particular work station setup, but even initiates an initial workplace evaluation. Safety training is another aspect of this role, which ensures that OSHA rules as well as common sense safety programs are observed. The human resources manager must recognize that staff supervisors’ duties are in a state of flux. As a result, it becomes necessary to update their job descriptions more frequently than other positions’ descriptions. Staying on top of the changes — and diligently adapting the written expectations to evolving workplace needs — is crucial for growing a work force that stays in step with the economic climate. Hiring or promoting a supervisor with yesterday’s skill set places a company at a serious disadvantage when compared to a competitor in the same line of business. It is clear the role of the supervisor is not as clearly definable as other positions within a business hierarchy. Paperwork is once again becoming a lesser component of the supervisory business tier, as human resources departments are taking a lot of these functions under their umbrellas. In the same vein, quality assurance departments are keeping track of performance metrics, which gives supervisory staff the opportunity to monitor adherence in real-time. Even so, human resources managers must make every attempt at defining the position on a yearly basis. To underscore the importance of this step, consider that the Bureau of Labor Statistics anticipates a slower than average growth of this professional field — roughly five percent between 2008 and 2018. This creates a surplus in the applicant pool, which allows businesses to hire suitable supervisors with their exact role definitions in mind.